Since 1970, Earth Day has been April 22nd. This year, it feels like a little darker and more important event with the EPA on the budgetary slice & dice line, as we live under an administration where Budget Director Mick Mulvaney said, regarding climate change: "I think the president was fairly straightforward on that: We're not spending money on that anymore." But for those of us who are educators, particularly environmental educators, science data speaks louder than presidents & their budget directors. Which is why perhaps this year, Earth Day education is needed now more than ever. Going to the source is often the best place to start. Earth Day Network is that place. 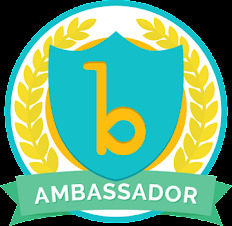 Working globally with 196 countries, environmental sustainability & protecting the planet for our children's children are the tenets of their mission. You can learn of the history of Earth Day and their "record of successes." Among the resources here include an interactive iBook "The Story of Climate Change" for grades 5-8. Also, there are a wealth of kid-friendly videos at Young Voices for Climate Change and Alliance For Climate Education. Additionally they have a wealth of information on the Campaigns page. 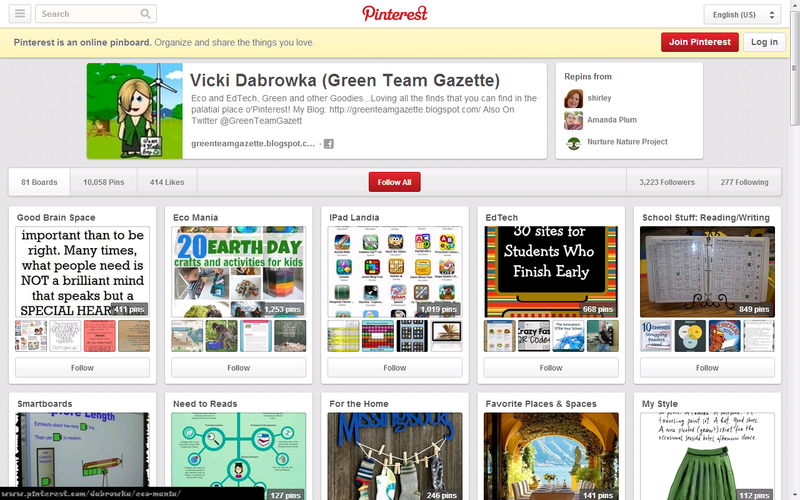 Here, they have links to their 6 different themed campaigns: Green Schools, Endangered Species, Reforestation, Green Cities, Campaigns for Communities, and Climate Change. (Or you can go to their "All" link to... well... see them all!) Each of these themes serves as an umbrella for a bounty of even more specific campaigns. It might be a good place to go find your passion, your tribe, or extra tidbits of specialized information. And, if you are around DC on Earth Day, there's always the March For Science on the National Mall. 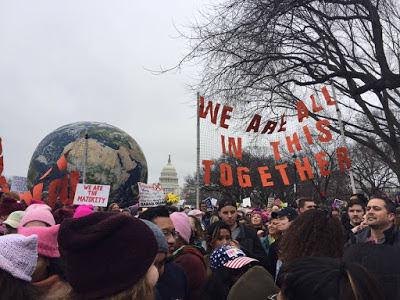 I was there for the Women's March. DC is a powerful place to be part of something so big. The march is geared to start at 8 am with rallies and teach-ins beginning at 10 am with a multitude of speakers. 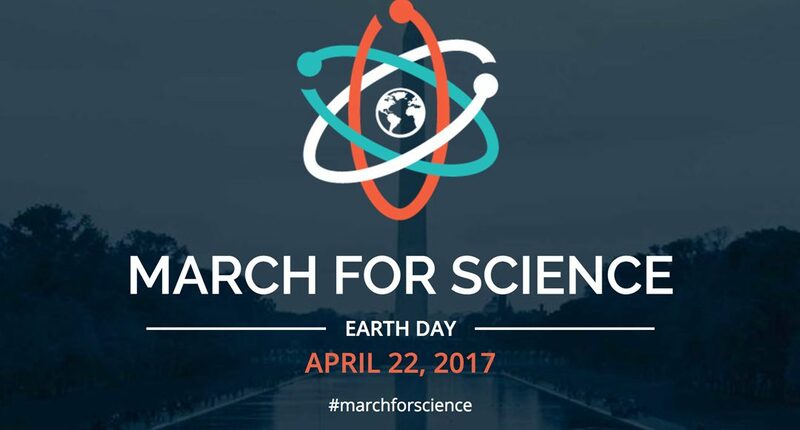 For more specific information, click here to go directly to the March of Science website. For those not near DC, you can still take part! You can find one of the nearly 400 satellite marches in the US or across the globe. "Science serves all of us. It protects our air and water, preserves our planet, saves lives with medical treatments, creates new industries, puts food on our tables, educates the next generation, and safeguards our future. Science isn’t Democratic or Republican, liberal or conservative. Indeed, threats to science are pervasive throughout governments around the world." 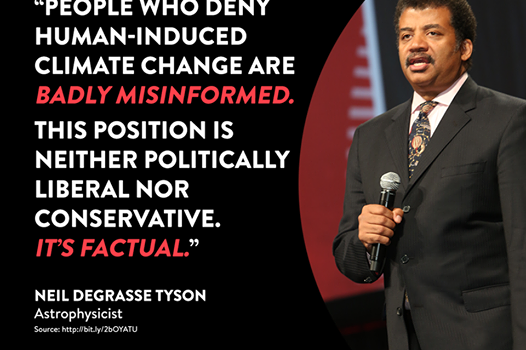 Science is not partisan. Nor are facts. This Earth Day, let's go out there as educators and inform both our students and ourselves. Let's go out there as citizens and do something good for the planet. I'd love to hear about your plans and your actions. Banner image screenshot & logo from http://www.earthday.org/, Neil DeGrasse photo from https://cleantechnica.com/2016/10/12/top-10-favorite-climate-change-mic-drops/; Women's March photo from my camera.